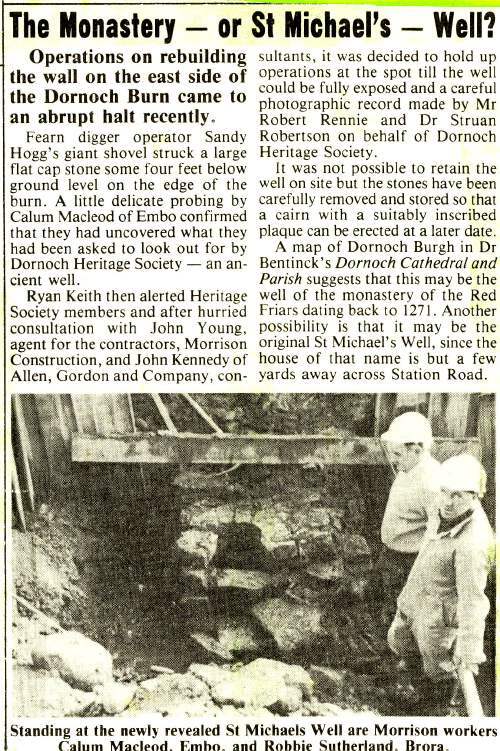 Cutting from the Northern Times 15/11/1991 describing the discovery of St Michael's Well during construction work. The cap stone was about 4 feet below pavement level. Pasted to a piece of green card.